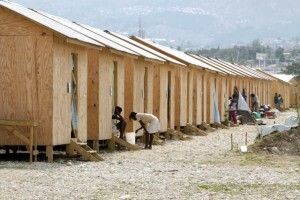 It has been one year since the devastating earthquake ripped through Haiti. One group, the Heartline Ministries, is still there helping women and children to get their lives in order in the face of the chaos. The earthquake in Haiti left much destruction in its wake. One year later, there are still many problems plaguing the country. Overcrowded hospitals and a baby boom have taken their toll on Haiti as it struggled to rebuild. Despite the hardships, there are still some in Haiti who are working to make things a better place. Heartline Ministries, a Christian charity organization, has remained in Haiti and is helping women and children work to rebuild their lives. Each week the organization provides care to hundreds of women who are facing hardships in their country. Offering prenatal classes and early childhood development classes, the organization is helping women learn how to care for their children. The women are taught coping skills for the common issues they face in Haiti, as well as are given eggs, milk and vitamin for one year as long as they remain in the classes. The Heartline Ministries has also recently opened their birthing center to give women a safe place to give birth. With the hospital overcrowding that is still going on in Haiti, having a space place where women in labor can receive care and support is critically important. More than just pregnancy and parenting help, the women’s program also provides literacy classes and sewing classes for women. The goal is to help women learn to make and sell their own creations, opening the door to them to be able to support their families themselves This has enabled women to be more self-dependent. These women live day to day just trying to make it through and feed their children. Many are just trying to survive. Our program changes that. Women who have never earned a dollar in their lives are now earning money as they sew. Women who had no parenting skills are now taking better care of their children. Women who could not read and write are now learning to. Women who have had no prenatal care are getting the attention they so desperately need. Women light up when they hear the sound of their baby’s heartbeat for the first time. Though things are still difficult in Haiti for many families, Heartline Ministries is trying to help by providing care and support for women and their children. The goal is to help women be healthier, better parents and be able to provide for their children through their own skills. It may take several more years to see Haiti fully rebuilt from the destruction of the earthquake, but each day is one more closer to reaching that goal.